Ayodhya is the city of Uttar Pradesh always in debate because of Ram Janam Bhumi and the Lord Ram Temple. However, there are many plus points of this place, so we will discuss about the tourism and the wonder hospitality of the city. This ancient city of India is also known as Saket that is the word of Sanskrit. This Indian tourist place is the birth place of Lord Rama, and it is described in an epic Ramayana as well. Faizabad is the closest big city that is also famed for various tombs and monuments. Uttar Pradesh is the rich agricultural state of India, and its cities are famous for the religious values. People of UP are very much cooperative. Their hospitality and local language are famous in whole India. ​Talking about the Ayodhya city it was the capital of ancient Kosala Empire. The city starts the day with Morning Prayer in temples. The beautiful surrounding sounds give the day a peaceful and calm start. River Sarayu and its flowing water noise are different experience. According to sources, Ayodhya was founded by Manu around 9000 years back. If we go through the list of tourist attraction, there are more than 22 places to visit. 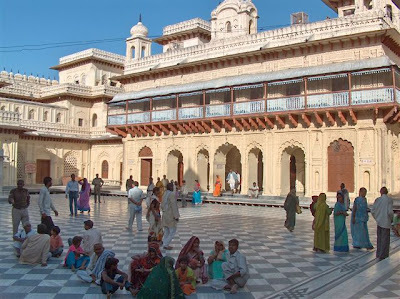 However, few of them are most demanding and favorite spots in Ayodhya. Furthermore, known as Ram Janam Bhomi is the initial place to visit in Ayodhya. Here the ancient palace of Lord Rama is available and best reaching a period is from March to April. 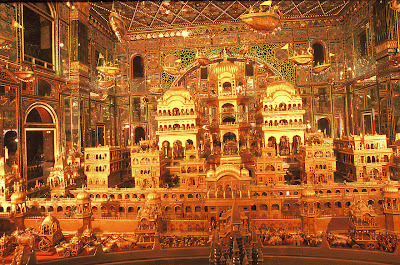 The most exciting frame of Ayodhya is Rama-Navami festival when people celebrate the birth of Lord Rama. 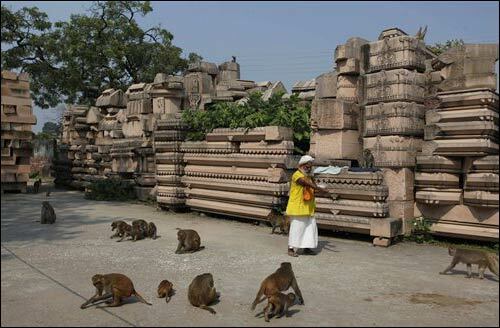 It is the temple of Sevak Hanuman of Lord Rama constructed in shape of a fort. This fort is located at central part of city. 76 steps into the temple could be little hard for old age people, but the temple is amazingly constructed so everyone should visit this shrine. The interesting feature of this temple is an idol of Anjani Mata (Mother of God Hanuman) and Hanuman inside the temple. A kind of museum where Lord Rama and Goddess Sita paintings are available. The paintings are designed with traditional dress and crown on both Rama and Sita. Kanak Bhawan is the Hindi words that mean “House of Gold." This palace was constructed by Queen Vrishbanu Kuvari of Teekamgarh in 1891. A stupa built at small hill of town is the next place to visit. It is the favorite place for local people as the spot is having religious values. According to epic Ramayana it is the place where some part of Sanjivini herbs mount fall down when Lord Hanuman was taking such mount to Lanka to save Laxmana. 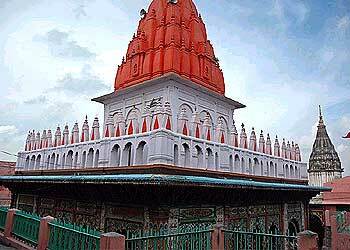 A shrine of Lord Shiva that was built by Lord Rama’s son Kush is another tourist place of city. As per local views, Kush fell in love with Nag-Kanya, who was the devotee of Lord Shiva. Later, Kush constructed this temple and gifted to Nag-Kanya. It is one of the ancient temples of city still persisting. If you go through other temples, their structures are almost ruined. The temple is having connection with Vikramaditya, who was the big successful ruler of North India. Take the dip in holy river Saryu and get rid of all your bad past if have any. Local people take the sacred dip at regular intervals. However, this river is proof of existence of Lord Rama in the ancient period. He used to play and take a bath in this river during his childhood. 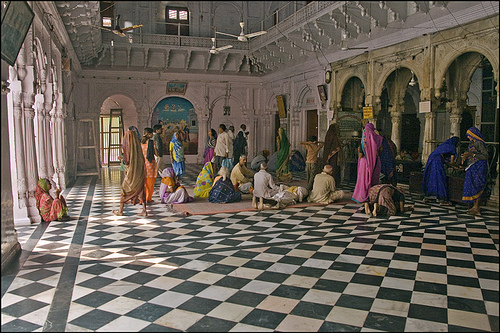 Ayodhya is the holy town and there are some Gurudwaras as well. The big gurudwara located closer to Brahim Kund and Nazarbagh are famous. It is associated to Guru Nanak Dev Ji, Teg Bahadur Ji and Govind Singh Ji. Followers reach the gurudwara frequently in a large amount. Ayodhya is having tourist spot known as Tulsi Smarak Bhawan dedicate to Goswami Tulsidas. He was the Saint, and the big poet that his writes are still educated in many schools in India. Tulsidas ji was famous for his Dohas. 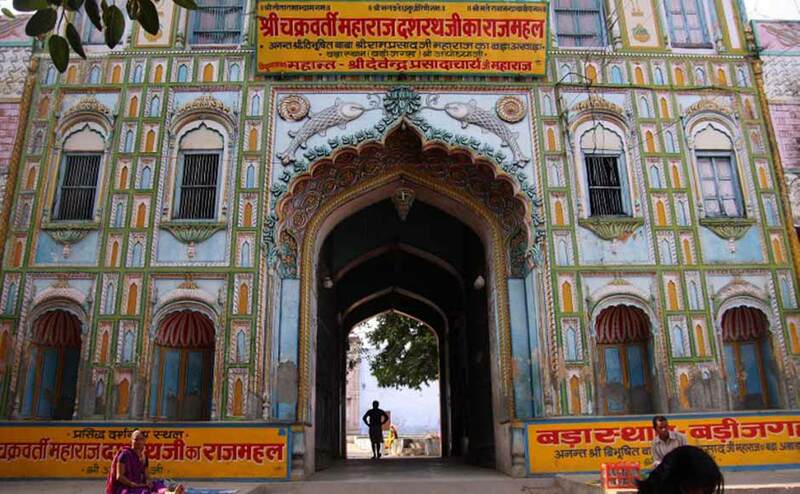 It is also Shodh Sansthan of Ayodhya where a large repository of literature is conducted. People perform Ramleela each day in this bhawan from 6 pm to 9 pm. This Indian tourist place is having many more places to visit, and its surroundings are also best to attain. 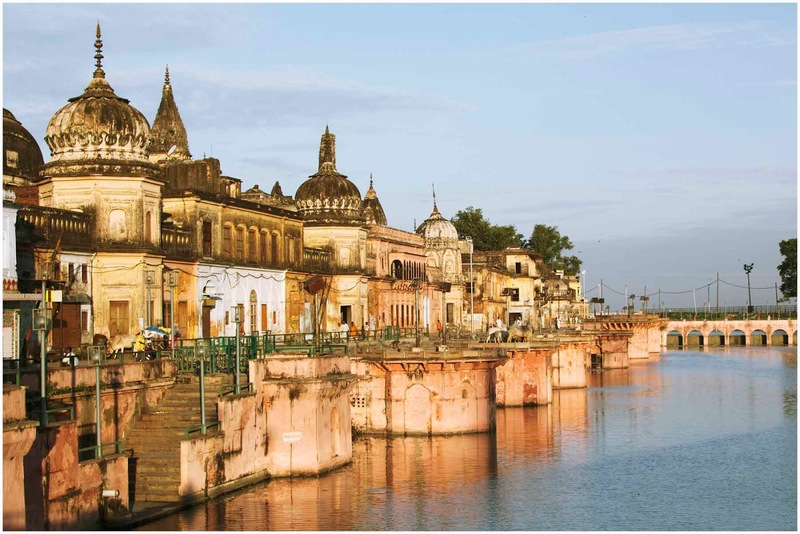 If you have decided to reach Ayodhya, then don’t miss some other places of interest such as Moti Mahal, Gulab Bari, Sita Ki Rasoi, Faizabad, Ram ki Paidi, Vishnu Temple, Rajghat Udyan, Raja Mandir, Bahu Begum Tomb, Military Temple, Guptar Ghat, Fort Calcutta, Ramkatha Park, Dashrath Bhavan, etc. By Air: International Airport at Lucknow is the best air hub to reach Ayodhya. It is Charan Singh Airport located at 134 km distance from the city. However, Bumrauli Airport of Allahabad located at 166 km distance is another air hub to reach Ayodhya. ​By Rail: Ayodhya railway station is the classic mode to reach. Trains for Ayodhya are available from Lucknow, Mumbai, Howrah, Dehradun, Sealdah, Jammu Tavi, Delhi, and Varanasi, Danapur, Muzaffarpur, Ahmedabad and many other cities. By Road: State transport of Uttar Pradesh is connecting Ayodhya with many other cities of India. 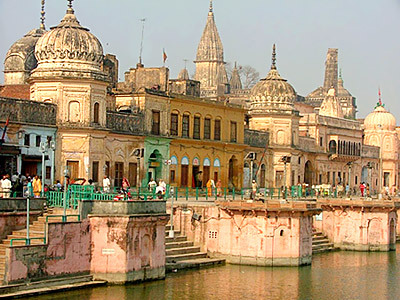 Ayodhya is the major Indian tourist place, and it has religious values as well. Keeping such a thing, UPSTC is having direct buses for Ayodhya from several parts throughout the country. You will get a direct bus for your destination from Lucknow, Jhansi, Gorakhpur, Allahabad and Varanasi, Sravasti, Gonda and many other cities.